Kendall Coyne at the 2014 Sochi Winter Olympics. She and her fellow U.S. Women's Hockey Team members are boycotting the world championships to be held in Michigan beginning next week over a pay equity dispute. A bill in Springfield seeks to ease the gender pay gap. Palos Heights native Kendall Coyne, an Olympic silver-medalist in the 2014 Sochi Winter Games and a member of the U.S. Women’s Hockey Team, has joined her fellow skaters in a fight off the ice. The U.S. Women’s Hockey Team last week announced its boycott of the Hockey Women’s World Championship to be held in Michigan beginning March 31. The team has been at odds with USA Hockey over fair wages and equitable support. “It’s unfortunate that …we are still talking about this, and it’s 2017. But we still have to fight as women to show that we deserve equitable support in hockey and in sports in general,” Coyne says. Such pay disputes are hardly limited to sports. U.S. Bureau of Labor Statistics show that gender pay disparity exists across all occupations, regardless of educational level and efforts to right the imbalance. Illinois lawmakers, for instance, are currently considering amending the state’s own Equal Pay Act. Women working in year-round, full-time jobs make an average of 80 cents for every dollar that men make in the same circumstances. That’s true at the state and national level. 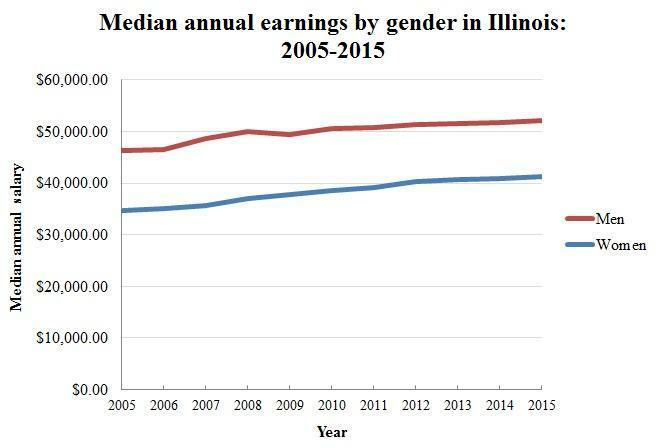 In Illinois last year, women made an average of $41, 327 to men’s $52,161—a difference of $10,834. Myriad factors contribute to the gender wage gap: discrimination, occupational segregation, lack of paid leave benefits, stagnant minimum wages, as well as a shortage of state-level legislation that would strengthen the federal Equal Pay Act. The list goes on. Add to the mix, the state’s current budget impasse, which has cut support services to women and their families. The gender wage gap is a multi-faceted issue, a “delicate web” says Julie Anderson, senior research associate for the Institute for Women’s Policy Research, a think tank in Washington, D.C.
Julie Anderson is the senior research associate for the Institute for Women’s Policy Research. “I often hear stories about people barely piecing together enough money to keep their kid in child care, enough money for transportation,’’ she says. “If any piece of that is taken away, it just has the potential to leave more people who just cannot fit their family obligations and employment,” she says. Those 80 cents are a reflection of one form of economic disparity, says Emily Martin, general counsel and vice president for workplace justice at the National Women’s Law Center, also in Washington, D.C. But, as Martin says, the number only showcases the disparity between overall women and men. When women are compared by race and ethnicity, the disparity widens: Women of color generally make less than white and Asian women. In Illinois, black women make 63 cents for every dollar made by non-white Hispanic men, and Latina women make 48 cents on the dollar. The trend persists with other states across the country. 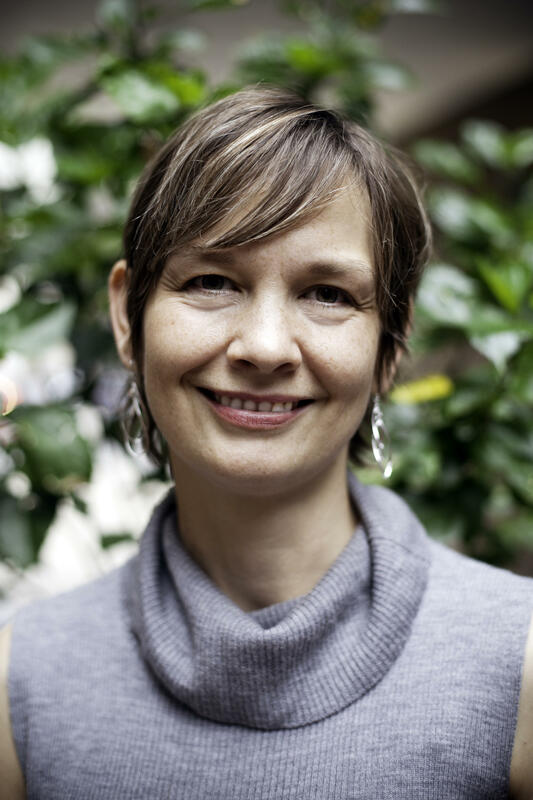 Emily Martin is the general counsel and vice president for Workplace Justice at the National Women’s Law Center. And, according to the Institute for Women’s Policy Research, if these trends continue in the same fashion as they have during the last few decades, Illinois is not expected to close the gender wage gap until 2065. National statistics show out that even within industries, the wage gap is present. Within the health care and social assistance industries, for example, women are paid 71 cents for every dollar paid to men. That’s 75 cents in manufacturing, 78 cents in retail trade and 87 cents in education services. In sales, women are paid 62 cents for every dollar a man makes 66 cents in production, 80 cents in management; and 87 cents in office and management support. “It is embedded throughout our economy,” says Wendy Pollack, founder and director of the Women’s Law and Policy Project, an initiative of the Sargent Shriver National Center on Poverty Law in Chicago. “Stats show that 62 percent of the wage gap can be attributed to occupational and industry differences [and] differences in experience, education, and factors such as race, region and unionization. That leaves 38 percent of the gap unaccounted for,” says Pollack. 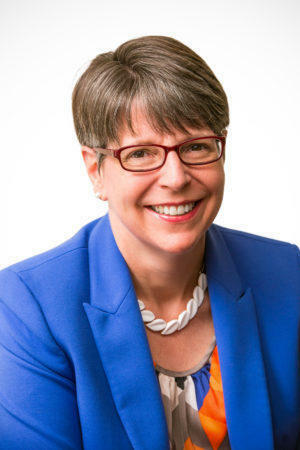 This 38 percent that goes unaccounted for, says Pollack, has caused researchers and experts on the wage gap issue to conclude that factors such as discrimination and unconscious bias continue to affect women’s wages. 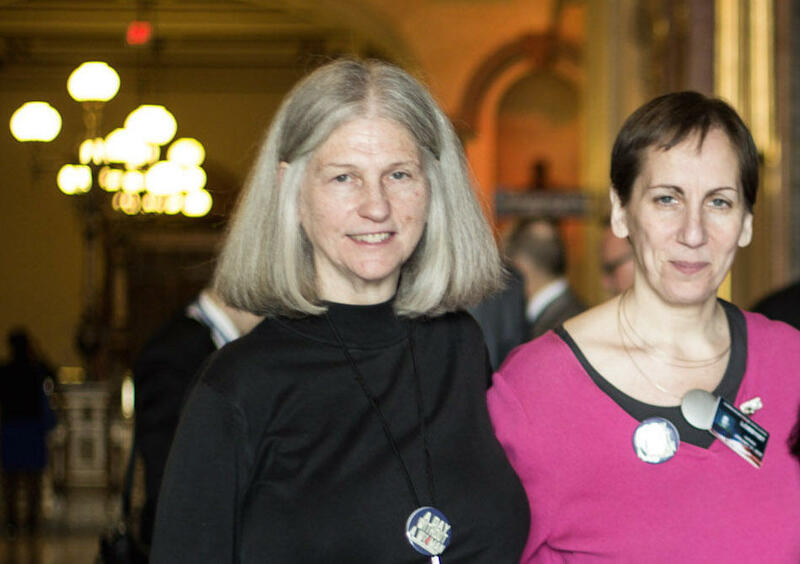 Wendy Pollack, founder and director of the Women’s Law and Policy Project at the Sargent Shriver National Center on Poverty Law, and Melissa Josephs, director of Equal Opportunity Policy at Women Employed of Women Employed, were at the capitol in Springfield to lobby on International Women’s Day. There have been efforts at the state and national level to tackle the issue. The Equal Pay Act of 1963 aimed to prohibit pay discrimination based on gender for equal work across states. And more recently, the Paycheck Fairness Act, first introduced in 1997 and reintroduced multiple times since, would give additional protections to women who want to bring up issues of pay discrimination. According to Martin from the National Women’s Law Center, the Paycheck Fairness Act would strengthen remedies for plaintiffs who prove that their employers are discriminating against them in pay. Employers would have to provide substantial proof that any disparity in wages between their female and male employees is strictly because of business operation and not discrimination. It would also ensure that people could talk to their co-workers about how much they make without being retaliated against by their employers. Several states, like Illinois, already have legislation that prohibits employers from retaliating against employees for sharing wage information with co-workers. And during the Obama administration, Congress adopted the Lilly Ledbetter Fair Pay Act in 2009 to further strengthen the Equal Pay Act. Ledbetter worked for Goodyear Tire, and found out after retirement that for many years she was paid substantially less for the same work than her male co-workers and filed a federal complaint. This led to a U.S. Supreme Court ruling that her complaint had come too late. In effect, it rolled back Equal Pay Act protections. The signed Lilly Ledbetter Act ensured that rights under the Equal Pay Act, such as raising concerns of pay discrimination, would be re-established. This national attention brought momentum to other measures addressing the gender pay equity, says Sarah Fleisch Fink, the director of Workplace Policy and Senior Counsel for the National Partnership for Women and Families. “I think the fact that the Lilly Ledbetter act was the first piece of legislation that President Obama signed into law when he took office, certainly raised the profile of the issue of wage inequality and of the gender wage gap,” she says. However, this momentum has stalled during the last few years. Experts say that current gender pay gap legislation at the federal level seems to be taking longer to get adopted. Individual states in the meantime have been taking initiatives to address the issue within their own governments. The Illinois legislation would prohibit employers from asking applicants about their salary history. If passed, the bill would make Illinois the second state in the country with this type of legislation, taking after Massachusetts. Philadelphia’s city council also recently passed similar legislation. 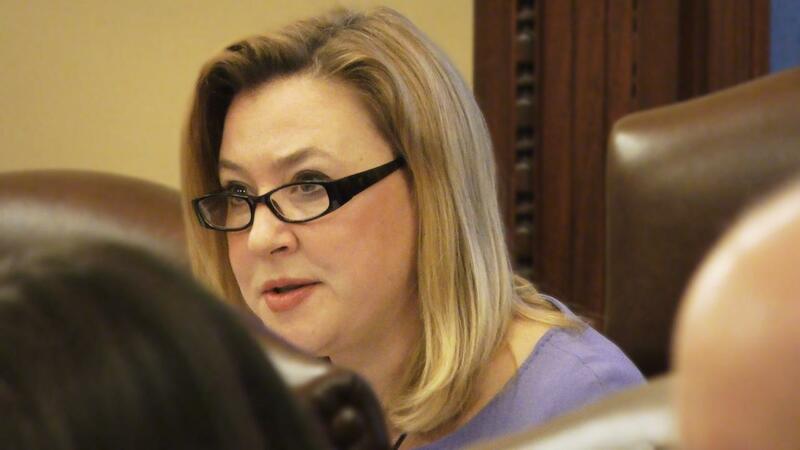 Democratic Rep. Anna Moeller of Elgin has introduced legislation that would prohibit employers from asking about salary history. Asking for salary history is common practice among employers, but it is not necessary, says Melissa Josephs, director of Equal Opportunity Policy at Women Employed, a 40-year-old Chicago-based organization that addresses women’s barriers in the workplace and education. When women are already not earning the same as men, asking for salary history perpetuates the wage inequity, she continues. Melissa Josephs prepares to give testimony during a committee hearing on Senate Bill 981 on prohibiting question about salary history. Democratic State Rep. Anna Moeller of Elgin, sponsor of the House Bill 2462, agrees with Josephs, who gave input as the bill was drafted. 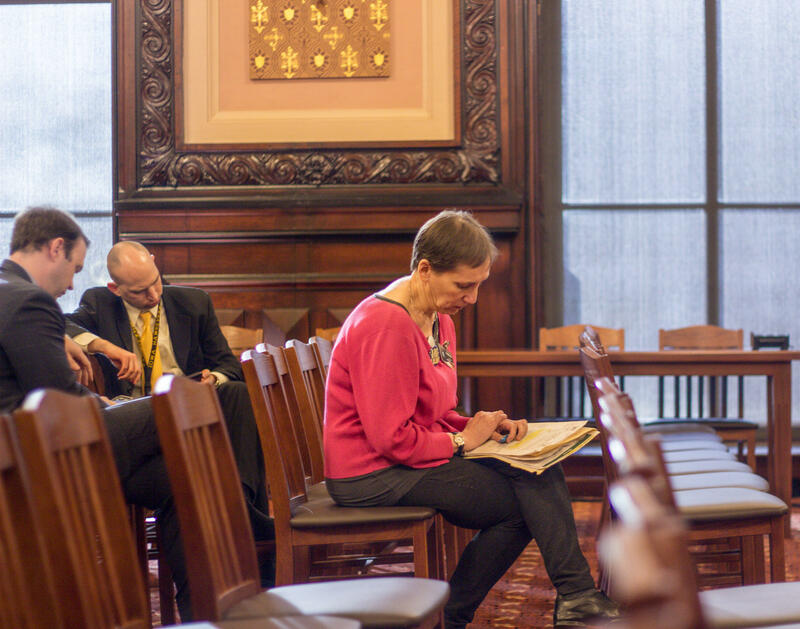 An identical bill is being considered in the Senate, sponsored by Democratic Sen. Daniel Biss of Evanston. “This is designed to help women who may take time off to raise a family, whose salaries are lower compared to those who may be competing for a similar job because they are based on years past when they were in the workforce,” Moeller says. The Illinois Chamber of Commerce as well as the Illinois Department of Labor raised concerns about the legislation. Spokesman for the Illinois Department of Labor, Ben Noble, told Illinois Issues that the agency “supports equal pay for equal work and will partner with all parties to advance that cause.” The department’s current opposition to this legislation is over “the fact that the bill adds substantial costs for new programs without providing the necessary resources.” At the time of publication, Noble did not respond with specifics to what those costs would be. During a committee hearing for the Senate version of the bill, senators opposing the bill also voiced their concerns that the bill would take away employers’ only form of measuring an applicant’s value and future performance. Republican Sen. Chuck Weaver of Peoria commented on his experience of owning 30 Kentucky Fried Chicken franchises and managing 500 employees. In his experience, he said, salary history allowed him to properly place applicants into the company so that they could have a successful future. “My inability to ask about that person’s pay history is taking away one of the best abilities I have to determine whether I can afford to hire that person,” he said. Moeller says that proponents of the bill will continue to meet with Republican legislators to make the issue of gender wage inequity a bipartisan issue. Currently, the bill only has support from Democrats. After Lilly Ledbetter and last year’s U.S. Women’s National Soccer Team lawsuit over unfair wages, the recent U.S. Women’s National Hockey Team’s boycott of the world championship brings the issue of gender pay inequity back to the national spotlight. It also sheds light on the relationship between women and salary negotiations. It may be historically true that women have not been as comfortable negotiating salary as their male counterparts, according to Anderson from the Institute for Women’s Policy Research — and there are reasons for this. Moeller, sponsor of the salary history bill in Illinois, says that the bill would help women who are unsure of the negotiation process during a job interview. The bill “may help women who may not know how to negotiate for themselves when they were first starting out in their careers, and may have accepted a lower salary than maybe their male counterparts who did negotiate for themselves,” she says. Current federal and state legislation only addresses the wage gap issue as it applies to discrimination. Experts on the issue say that the gap persists especially when other factors such as lack of paid leave benefits, lack of child care services and stagnant wages also persist. Women continue to carry the primary care-giving responsibilities of not only children, but also of older relatives. The lack of paid family and medical leave and of affordable child care services, continue to drive the wage gap. “Because women are often the lower earner, if there’s a choice for who is going to either step back from the labor force, or take time out, logically it’s often the woman who does that. But it’s so hard to recover from time out of the labor force, to get back into work. You can’t recover the wage increases, the promotions and so on. And actually — time away from the labor force can impact the economy security and retirement for women,” says Anderson. In Illinois, the ongoing budget impasse, which has cut support services to women and their families, could contribute to the existing wage gap. The impasse impacts every resident in Illinois that depends on social services, regardless of occupation and gender. But oftentimes, the most hurt are women of color. Pollack from the Sargent Shriver National Center on Poverty Law has looked at the connections between the gender wage gap, poverty in Illinois and service cuts. In all instances, women of color are at a disadvantage. “The Illinois poverty rates for women overall is 14.4 percent living at or below poverty. For black women it’s almost 30 percent. For Latinas it’s just over 20 percent. So we see that black women are clearly at a disadvantage over where they start, in terms of improving their situation,” she says. Taking away support services, Pollack says, affects what type of jobs a woman might be able to obtain and therefore, determine how much she is able to make. When those jobs are limited and child care or paid time leave are not available, a woman with already limited job choices must consider leaving her job to tend to other responsibilities. 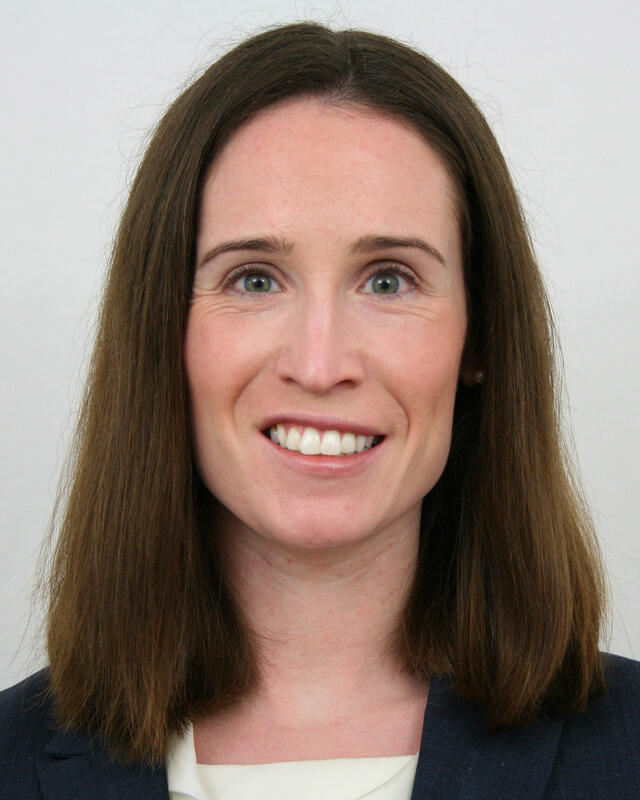 Sarah Fleisch Fink is the director of Workplace Policy and Senior Counsel for the National Partnership for Women and Families. Martin from the National Women’s Law Center agrees. “If women earned as much as men, women would not have to rely on social services as much. Women are disproportionately poor for a variety of reasons, but those reasons are very much wrapped up with the fact that there is a wage gap and that women are not paid as much as men,” she explains. This analysis is supported by research done by the Responsible Budget Coalition, a nonpartisan group that advocates for a funded yearlong budget that will choose revenue over making cuts — especially for services having to do with children, the elderly, health care, education and labor unions. Sergeant Shriver National Center of Poverty Law and Women Employed are also part of the coalition’s more than 300 organizations. The coalition notes in a 2016 analysis that 78 percent of families using the Child Care Assistance Program (CCAP) — geared toward low-income families for affordable child-care — are female-headed single-parent households. In mid-2016, Gov. Bruce Rauner’s administration increased the family co-pays to as high 20 percent, subsequently decreasing the number of children enrolled in the program. Pollack also says that getting a fully funded budget that does not cut important services to women and their families is one hurdle to overcome. A second one she says, would be to raise the minimum wage. Illinois legislation addressing the minimum wage across the state have been introduced, with one introduced by Democratic Rep. Will Guzzardi as recently as last week which aims to gradually increase the minimum wage to $15 an hour by 2022. Women are two thirds of minimum wage workers in Illinois. The Illinois minimum wage is at 8.25 an hour, and has been stagnant since 2010, explains Pollack. So one way to help women who are already making less than men, would be to raise the minimum wage. The women in Coyne’s athletic spear can relate. The annual base salary in the Women’s National Hockey League is $10,000. Nor all members of the U.S Women’s National Hockey Team have joined the professional league and then rely on USA Hockey’s compensation. In the USA Hockey program, players train for four years in preparation for the Olympics and only receive $1,000 per month for six months surrounding the games. Men in the National Hockey League get a base minimum of at least $575,000, according to the puckreport.com. At the top of the salary spectrum in the NHL, Chicago Black Hawks’ Jonathan Toews is paid $13.8 million for the current season. 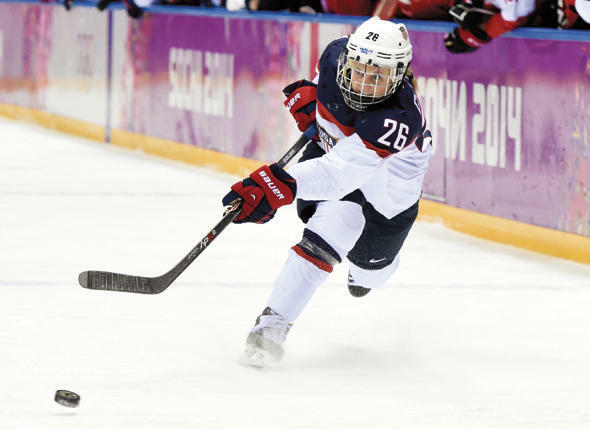 Coyne, the Olympic silver-medalist and member of the U.S. Women’s Hockey Team, told Illinois Issues that she and most of her teammates must take up other work to get by. “I currently work part-time with the Chicago Black Hawks and I run a hockey camp in the summer. Some of my teammates are getting up at 5 a.m. because some of them are strength- conditioning coaches… Some are Division 1 college coaches — and for what USA Hockey is giving us, it is clearly not enough to live on,” Coyne says. Coyne says that the team will keep pushing until USA Hockey agrees to equitable support and hopes that the issue is resolved before time the world championship begins next Friday. It’s International Women’s Day. The YWCA of Rockford celebrated a little early Monday with a luncheon featuring Equal Pay Activist Lilly Ledbetter.